We send approximately 3" square swatches for free. We only ask that you be specific in your request (ie. 100% broadcloths in blue and brown). We will need your mailing address. Just send us an email with your request. For larger samples you may order down to a quarter yard using our shopping cart. 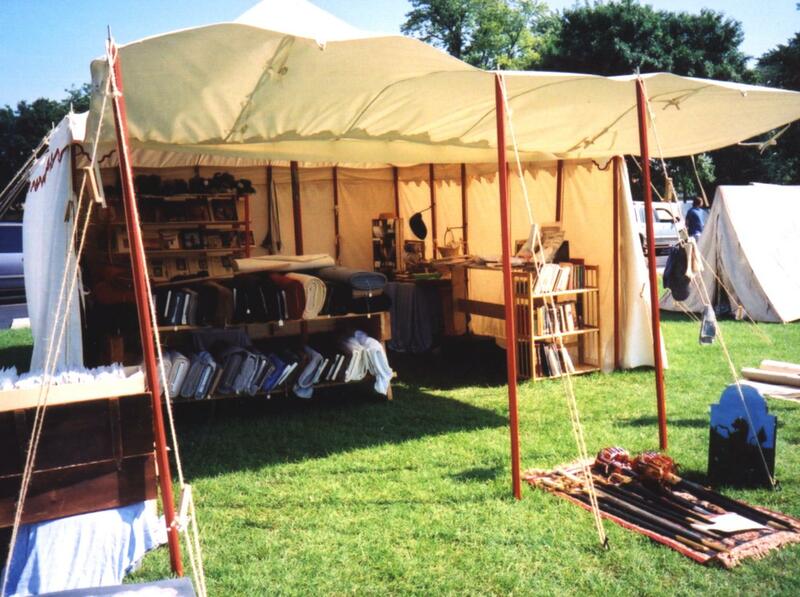 Merchant's tent as our shop often appears in the field.